With solid state drives now becoming just as prevalent on the market as hard drives, you’ve probably been wondering which is right for you. As it turns out, the choice is growing clearer with every passing day. While there are merits to both Solid State Drives and Hard Disk Drives, the choice at this point is clear — you need an SSD. The price advantage HDDs once held is quickly slipping, and unless you have 1TB or more of data to store, you should buy a system with an SSD. They provide a noticeable bump in performance during boot-up times and data movement, often clocking in at five times faster than the speeds possible on an HDD. First, let’s take a look at the difference in size — meaning data capacity — between hard drives and solid state. It isn’t difficult to find HDDs with several terabytes worth of storage. In contrast, SSDs don’t hold quite as they become prohibitively expensive over 2TB, and are more expensive along the way. When comparing storage capacity, HDDs currently beat out SSDs. Of course, SSDs come with their own advantages over HDDs, which we’ll discuss more later. 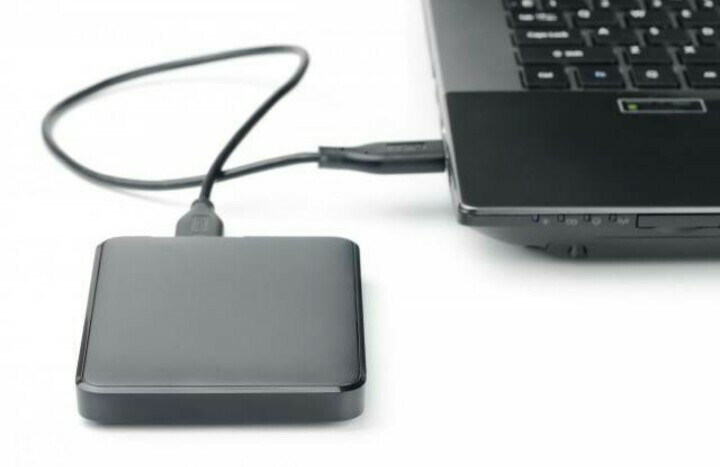 HDDs have been the standard for desktops and many laptops, as their large storage capacities mean one doesn’t have to worry about running out of storage space too quickly, and their magnetic storage method means they have near-infinite read/write capabilities. 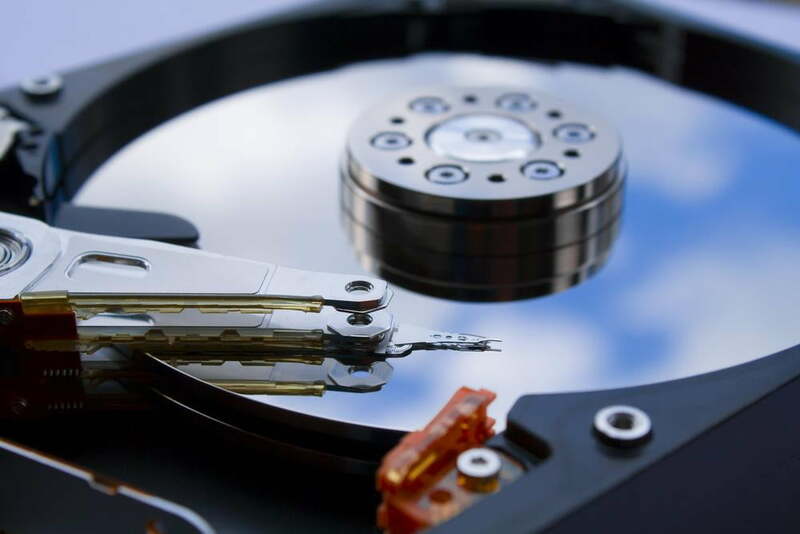 Storage capacity — while certainly the most important criteria to consider when buying a hard drive — is not the only difference between these two technologies. On the next page, we cover how HDDs and SSDs differ in terms of speed, form factor, and durability. This faster read speed comes with a catch. SSD cells can wear out over time. SSD cells push electrons through a gate to set its state. This process wears on the cell and over time reduces its performance time until the SSD wears out. That said, the time it would take in order for this to happen for most users is quite long; one would likely upgrade their SSD due to either obsolescence or a desire for more storage space before a normal SSD would fail. But it’s still something to keep in mind. The risk for failure is not unique to SSDs. 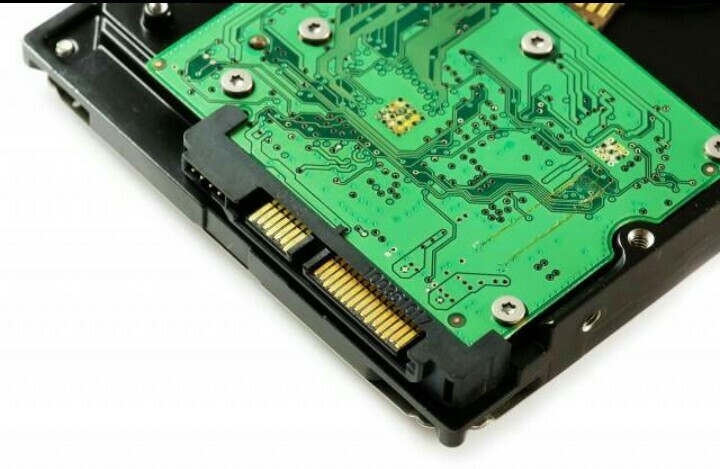 In fact, SSDs are considered far more durable than HDDs, due to a lack of mechanical parts. The moving mechanisms within an HDD are susceptible to not only wear and tear over time, but to damage due to movement or forceful contact. If one were to drop a laptop with an HDD, there is a high likelihood that all those moving parts will collide, resulting in potential data loss and even destructive physical damage that could kill the HDD outright. SSDs have no moving parts so, while they hold the risk of a potentially shorter life span, they can survive the rigors we impose upon our portable devices and laptops. Another thing to be mindful of is the form factor of these devices. HDDs are almost always a 3.5-inch or 2.5-inch disk, while SSDs are spreading out into a variety of shapes and sizes. The most common is still the 2.5-inch drive, a slim plastic board with two plugs on one side. 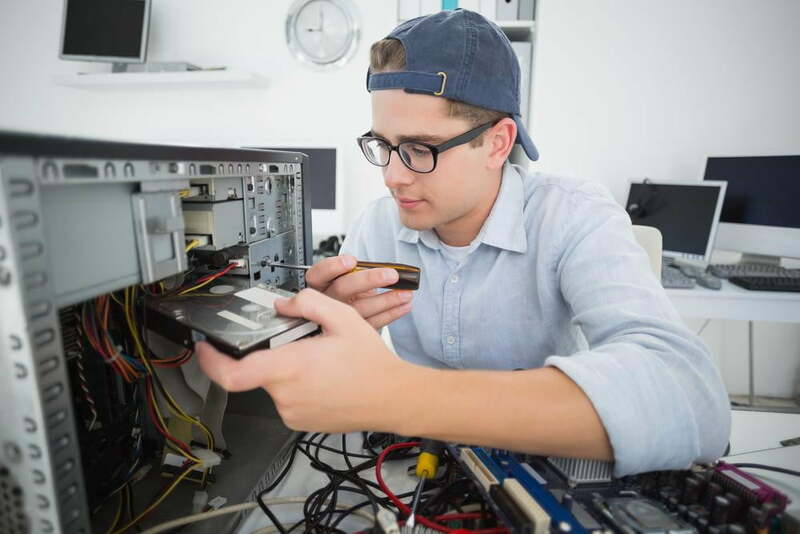 Newer desktops are fitted with a place to mount these specific drives, but they can also be mounted into the 3.5-inch brackets with an adapter. 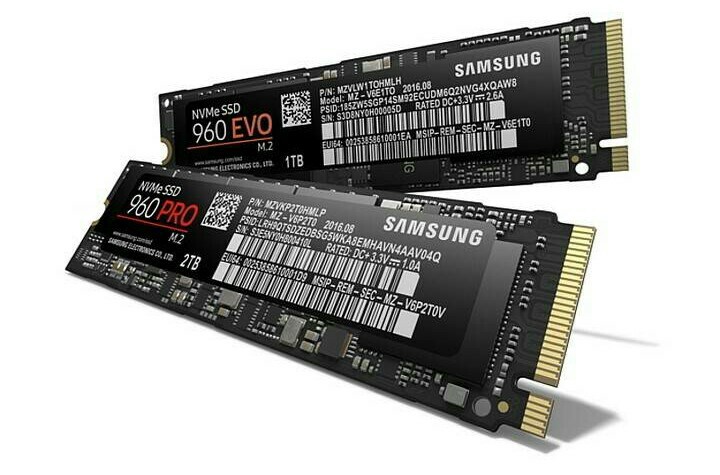 While there are SSDs that mount into the PCIe slot, many are now compatible with the relatively new M.2 slot. This thin port, found on the motherboard, allows placement of the drive without cables, and enables extremely high transfer speeds. Next, we’ll look at how the two drive types compare in pricing. As we’ve alluded to in the previous sections, SSDs are expensive, and higher-end devices have less storage than HDDs. For similar amounts of storage, one would likely end up paying nearly twice as much for an SSD than an HDD. While you’re paying higher prices for less memory with an SSD, you’re investing in a faster, more efficient, and far more durable data storage overall. If you’re building a system with speed, power needs, or portability in mind, than an SSD is going to be the better choice. In most desktops, adding another hard drive is easy and cheap, so it’s a good upgrade down the road if you need more storage space. Having a separate data drive also allows you to update or reinstall your operating system with minimal effort. As SSD prices drop to bargain prices, we’re finding less reason to opt for the HDD option in the majority of systems. For $60, there are brand name 240GB SSDs readily available, just $20 more than the cheapest 1TB HDD. For that $20, even casual users will notice a drastic improvement in boot-up time, data access, and general system snappiness. We expect new systems to include an SSD, or at least a Hybrid drive — often a solid compromise discussed on the next page. If you’re interested in the technology of an SSD, but find the current slate of available drives to be too expensive, there’s hope: hybrid drives. These drives combine HDD and SSD into one device. There a a couple different versions of this. First, there are the SSHDs, or solid state hybrid drives. These drives are full-sized HDDs (often around 1-2TBs) that come equipped with an extra cache of SSD NAND memory (usually a few GBs worth). SSHDs work by learning which files you use most often, and writes them to the quickly-accessible SSD section of memory. All other files are stored on the HDD’s spinning disc. While an SSHD won’t give you the durability and lower power needs of an SSD, they should still offer an appreciable uptick in speed for certain processes. You can find SSHDs that can fit a 2.5″ slot as well as 3.5″ options. In addition to these two hybrids, which are good options for those with space for only one drive, one could also opt to buy multiple separate drives depending on their configuration and available mounting space. In addition to these other choices, there is also the choice of using a drive as an external storage device. There are drives manufactured specifically as external storage devices; however, virtually any drive that can be mounted in a PC can be inserted into an external housing kit and connected to a PC via USB. The device will function as a drive normally would, but can be carried with you, so you can access your stored files with any PC or laptop. As the storage landscape shifts rapidly, SSDs are going to become much more prevalent than HDDs. We don’t recommend buying a system that only has an HDD in it, it should at the very least use a hybrid drive. The price difference will be well worth it, if there’s one at all, and the result is noticeable every time you turn it on.